Spicer® D-Series Heavy-Duty Steer Axles improve vehicle performance for vocational applications with larger kingpin bushings and a kingpin sealing system. 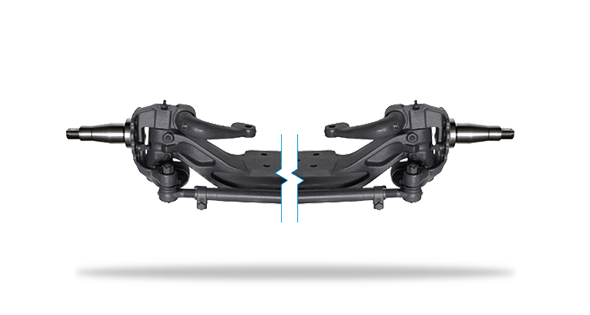 A dual drawkey and spring washer kingpin retention system with a beam foraging configuration work to improve vehicle alignment capabilities and axle durability. This exclusive combination of our patented technologies and designs ensures longer service life, reduced maintenance, and high durability on steer axles.